HGV drivers’s spend an inordinate amount of time on the road. Chalking up the miles on the motorways and A roads of the country, in all kinds of weather at all times of the day and night. And when those red tail lights come on in front of you and you spot the endless row of cars and lorries snaking its way out of view on a rush hour tailback – you need to remind yourself that, there are those other times – those great moments of unbridled, open road, clear skied bliss. When the radio is playing your tunes and the countryside rolls majestically by and all is right in the world. When driving is simply wonderful. And so, in tribute to the great moments when you’re out on the great open roads, here’s a sample of some of the really, truly great roads of the world. The routes that HGV drivers need to add to their freewheeling bucket list. A project for returning servicemen after World War 1, the Great Ocean Road is a spectacular journey along the Southern Coast of Australia. A popular Antipodean trek for driving lovers and tourists alike the road is a winding route of spectacular and varied natural beauty. As you leave the suburbs of Greater Melbourne behind you pick up the road along the Southern Victoria coastline. Making your meandering way through quaint seaside towns such as Torquay and Apollo Bay, alongside the stunning rugged Australian coastline, before heading inland to the lush green and teeming with wildlife stretches of the Grampian mountains. Back Down Under and you have the simply breath-taking route known as Arthur’s Pass in New Zealand. A chance to drive through some of the most awesome landscapes beneath the wide open New Zealand skies. Heading through the Southern Alps, it’s hard to keep your eyes on the road, so distracted can you be at the towering views of untouched natural beauty on display. And then the real centrepiece of the journey for all lovers of driving, is the simply stunning Otira Viaduct. One of the great routes in Europe has to be the naturally stunning Atlantic Ocean Road in the north of Norway. Your route takes you over a series of interconnected islands – joined together through a series of roads, viaducts and causeways. It’s a drive full of unrestricted beauty. With the wild tide of the Atlantic on both sides and the almost endless views of land and sky merging together, this represents a truly staggering journey for those who love to combine a challenging drive with natural wonder. 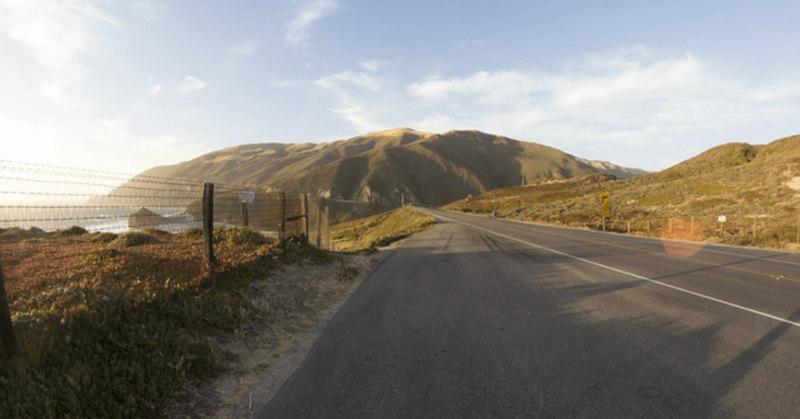 Is there a more famous route in the Western Hemisphere than Big Sur? Popularised in 20th century fiction this is one of the great American byways. A narrow path along the western edge of the USA. Stretching up the Californian coastline between San Simeone and Carmel, Big Sur has taken on iconic status in US culture. And as you wind your way along the road, it’s easy to see why. To one side (and below) you have the unbridled power of the Pacific ocean, its white foamy surf battering the rocky crags of the shoreline. On the other side, the Santa Lucia Mountains, the barrier between you and 3000+ miles of American countryside. It’s a spectacular, scenic route and anyone with a love of driving ought to experience it at least once. Published on June 20, 2016 by Gareth Hill. This entry was posted in HGV and tagged arthurs pass, atlantic ocean road, big sur, great ocean road, great road of the world, pacific highway.